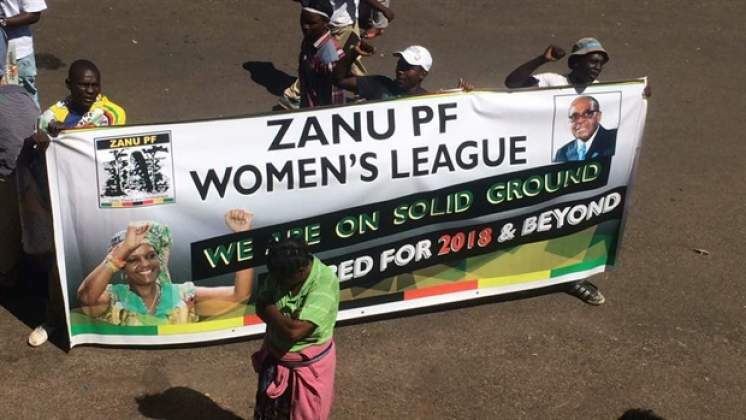 President Robert Mugabe's ruling Zanu-PF party has organised a march and rally in Harare to show support for under fire First Lady Grace Mugabe. Follow the live updates. Dr Chombo thanked supporters from all corners of the country who managed to come for the solidarity march. "We heard that some conflicting messages were being circulated in the provinces which were meant to stop people from attending the march," he said. Dr Chombo said a number of issues have been raised and one of the issues is that of war veterans who were dismissed from the party for disrespecting the Head of State Mugabe adding the issue must be solved. "We cannot paint all war veterans with the same brush because we have veterans who are committed to serving the party and government," said Dr Chombo. He added that the issue of t-shirts that demean the President and the First Lady must be dealt with by law enforcements agencies. Zanu youth leader Chipanga calls himself "the first born of the First Family... there is no other father we know besides Robert Mugabe"
Zanu-PF Secretary for Administration, Ignatius Chombo says he will relay the message to president Mugabe and his wife Grace. 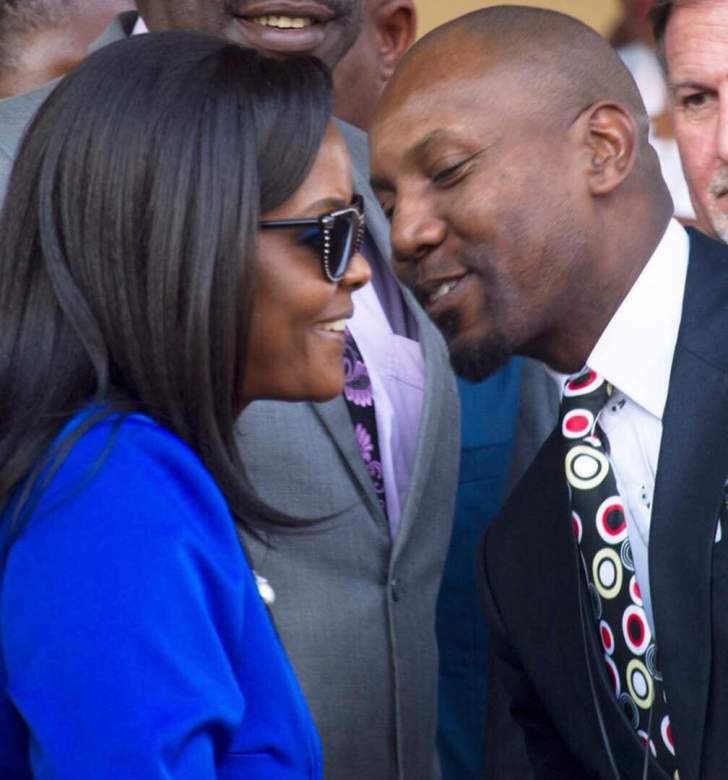 Mlala: "The media can say whatever they want about the First Lady but as war veterans we are solidly behind her." 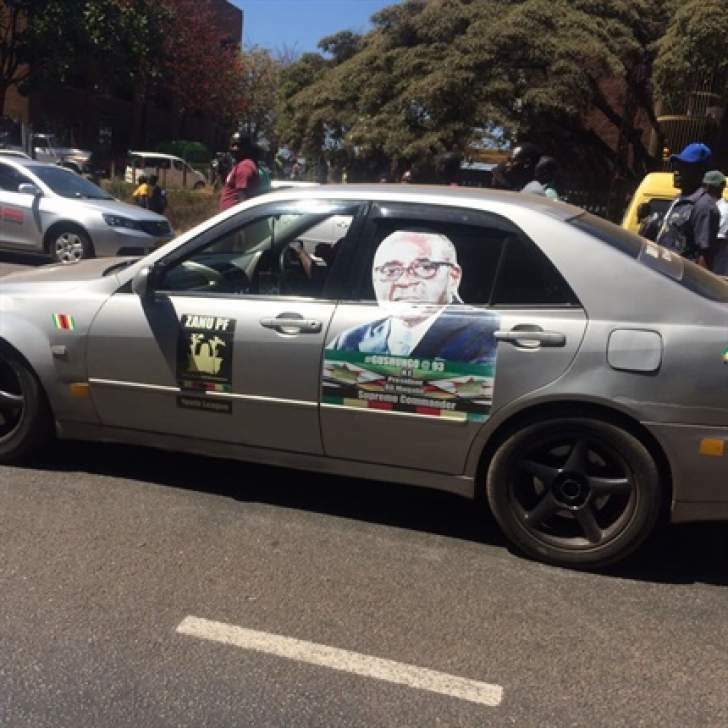 Zimbabwe police have summoned organisers of a peaceful protest which had been planned for this morning outside the South African embassy over Pretoria's decision to grant President Robert Mugabe's wife, Grace, diplomatic immunity. 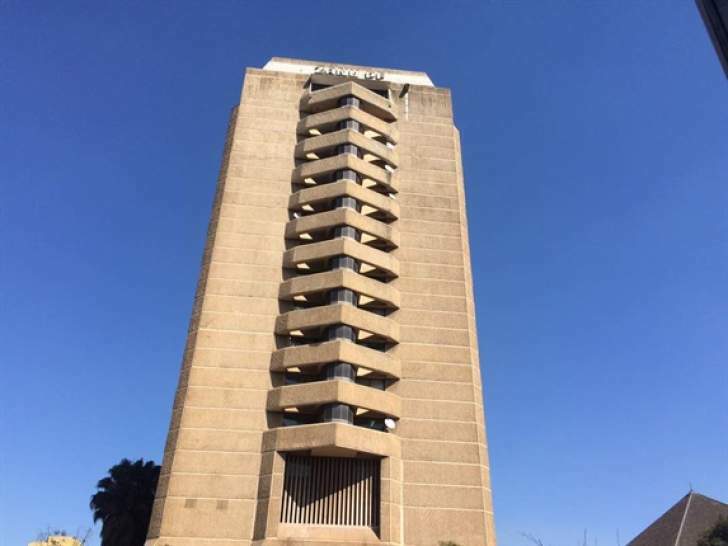 Information obtained by indicates police visited the offices of the National Electoral Reform Agenda (Nera) offices before asking officials to accompany them to the charge office at Harare Central police station. Police are said to be reluctant to authorise the peaceful protest, according to officials, fearing to embarrass the First Lady on the same day that Zanu-PF is holding a solidarity march for her after she escaped arrest in South Africa for assaulting a model Gabriella Engels. 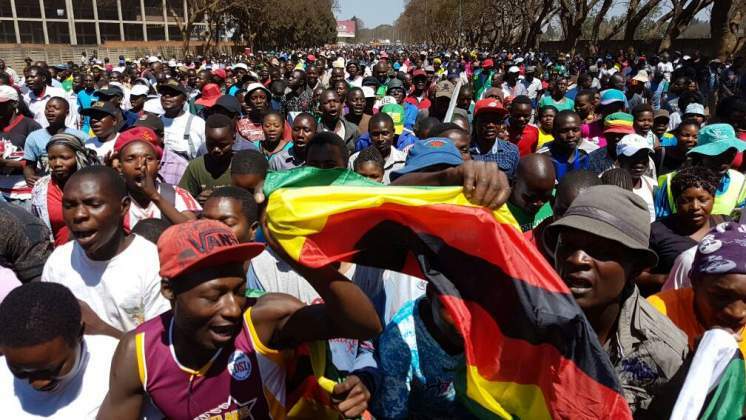 Speaking to News24 while at the police station, Davis Mukusha, a Nera official who is one of the organisers, said it appeared police wanted to stop the peaceful protest which had been slated for 10:00 to 1pm at the South African embassy in Harare. By 10:30 the protest had not started as officials were still in talks with police. “A while ago they came to our offices and tensely cautioned us against marching or else there will be consequences,” Mukusha told News24. Nera officially advised police of the planned demonstration on Monday this week. 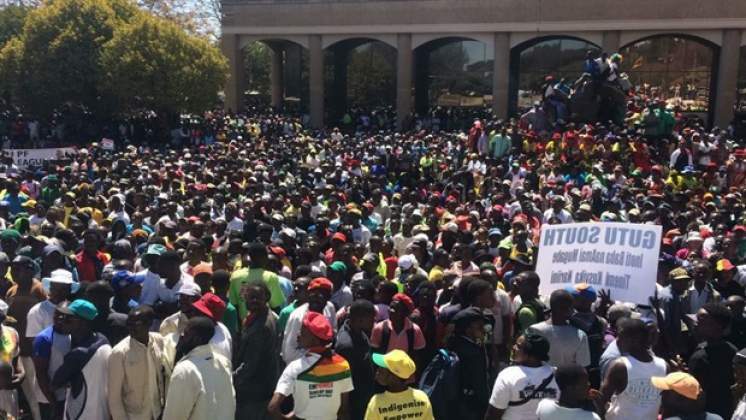 But police documents seen by News24 indicated police wanted the organisers of the protest to make a fresh application, citing the Public Order Security Act. According to the documents, Nera needed to notify authorities at seven days prior to the protest. But Nera said they intended to defy the police's directive. A handful of people waited the start. "We are seeking clarification on the response they just gave us this morning," said Mukusha. "But that won't shift goalposts. We are going to the embassy with or without the clearance in 30 minutes." More to follow. 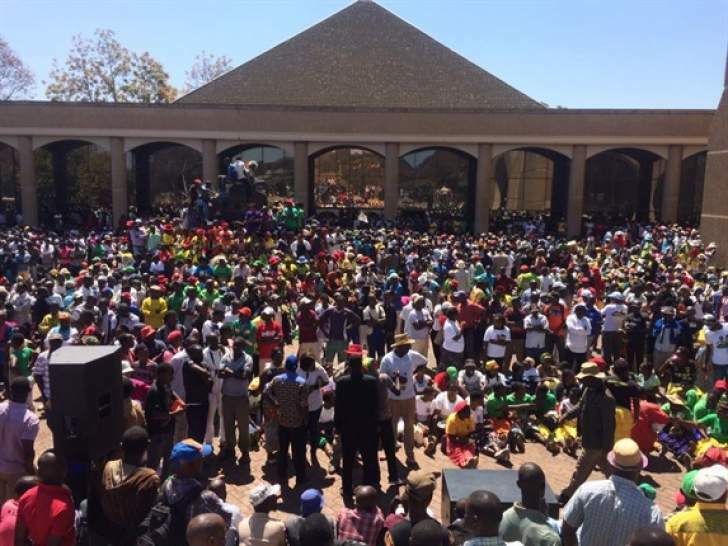 Youths are singing "Joice Mujuru ucharohwa nevakomana" meaning "Joice Mujuru you will be beaten by the boys"
Violence is celebrated in ZANUPF, thus why there is a solidarity rally for Grace Mugabe. 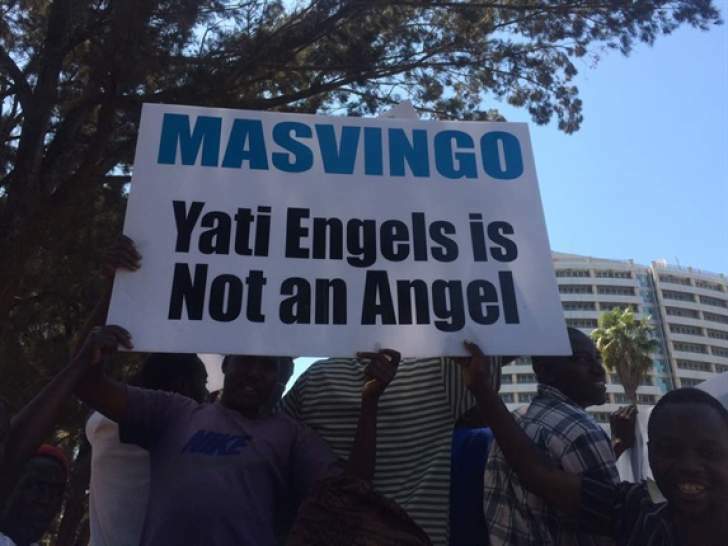 Reports of social media indicate there are plans to turn the Grace Mugabe solidarity march into an anti-Mnangagwa rally. A NewsDay report says that Grace's allies yesterday claimed that they had mobilised more than 100 000 to attend the solidarity march. "Zanu-PF celebrates violence and it is a party that thrives on fear and physical engagement. This makes diplomatic mockery of the Republic of South Africa in that they granted diplomatic immunity to a non-repentant goddess of violence and such a march will give a clear signal to the opposition in this country that violence is imminent during the watershed elections in 2018," said Nyandoro. "Put simply, the country is now being turned into a mafia state with thuggery and brutality directing the order of the day and all this must be brought to an end come the 2018 watershed elections." 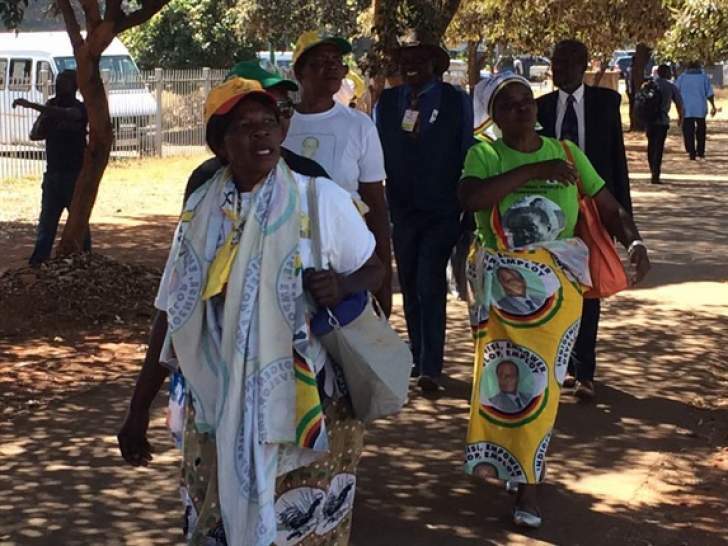 The National People's Party led by former vice president Joice Mujuru said the proposed march was a mockery to the South African government which protected the Zimbabwean First Lady from facing prosecution. Wednesday's march comes after Zimbabwean police denied opposition parties under the banner of Nera (National Electoral Reform Agenda) a clearance to march to the South African embassy in Harare to protest against the granting of diplomatic immunity to Grace. "It boggles the mind why the ZRP refused the opposition permission to organize a march against Grace Mugabe's violent tantrums and savage beating of Gabriella Engels. Zimbabwe is now a fully - fledged banana republic that is run by an old despot whose wife has got an explosive and irrational temperament," said the National People's Party (NPP) secretary general Gift Nyandoro. Meanwhile, New Zimbabwe.com quoted Mashayamombe as saying that Grace has gone through a lot in the past month. "All progressive Zimbabweans must attend the solidarity meeting of the First Lady," he was quoted as saying. 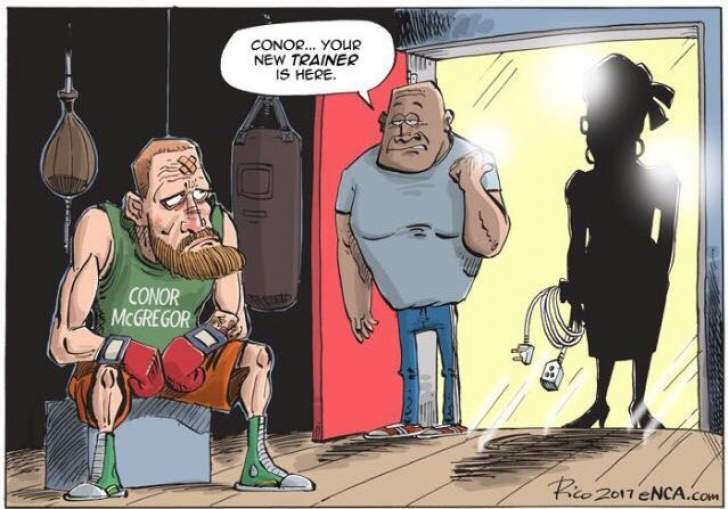 "A lot has happened to our mother from being injured on her leg, being holed up in South Africa for a week on cooked allegations and also media reports about her ice cream being poisonous from her enemies." Grace assaulted 20-year-old South African model Gabriella Engels with an extension cord two weeks ago and severely injured her after she found her with one of her two sons, Bellarmine Chatunga, at a hotel in Sandton. Following a police report by Engels, the First Lady was granted diplomatic immunity by South African authorities in a move that was criticised by human rights organisations in both Zimbabwe and South Africa. 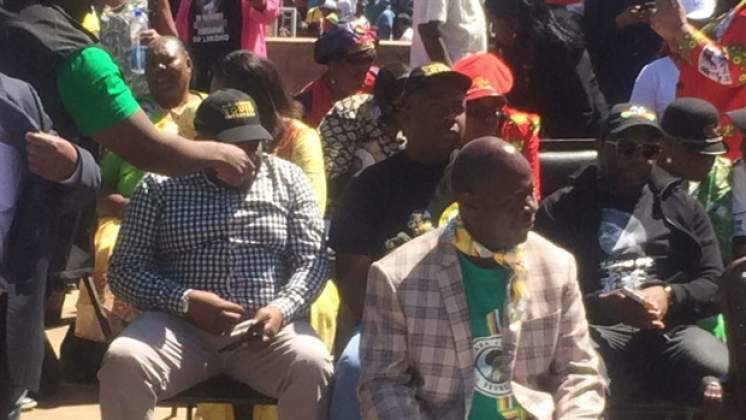 Zanu-PF's political commissar for Harare Province, Shadreck Mashayamombe, said the procession would culminate in a rally at the party's headquarters in downtown Harare. President Mugabe and his wife were expected to address the Zanu-PF supporters, who were reportedly set to be drawn from all the country's provinces.